Anti-Hail Netting and olive netting are both designed to stop leaves etc falling into ponds or onto your garden, Also used in collecting fruit falling from trees. We can offer a large range of meshes for all sorts of application. Here are some of out most popular meshes. 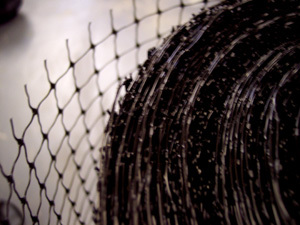 We supply lots of Anti Bird netting, Also a Heavy-duty crop protection. Deer Fencing and much more. 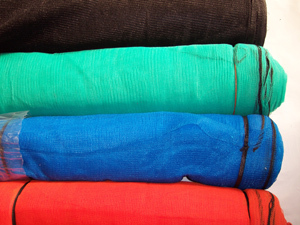 A range of 2 widths and 3 colours. 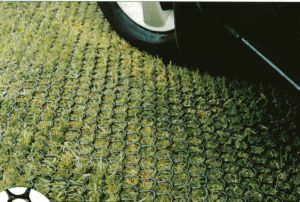 A tough 50mm (2") mesh in Brown, Green or White that is ideal for fencing off sections of your garden to stop unwanted intrusion by pets etc. 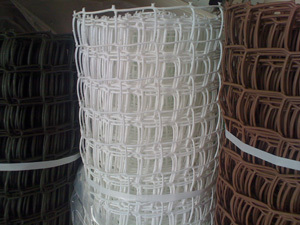 It is also an ideal plant support netting for clematis, passion flower etc. Full rolls are 30 metres and will be discounted by 20% at the checkout but you can buy as little or as much as you need. We also now have a range of 2mtr wide polypropylene meshes so click here and see more! 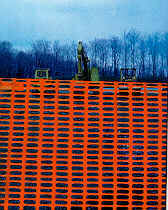 Debris netting is a cost-effective way to protect the public and traffic on the ground from falling debris next to construction sites. Made from knitted high density polypropylene monofilament, the net allows air circulation and reduces rain and wind penetration. Improving the working environment for construction personnel. The netting also reduces the wind loading on the scaffold itself, unlike cladding or sheeting. Each size contains button holes for easy fixing to the scaffold, approximately 15cm apart. The 2m has button holes at the top and bottom and the 3m has an additional row in the middle. Available in a range of colours. 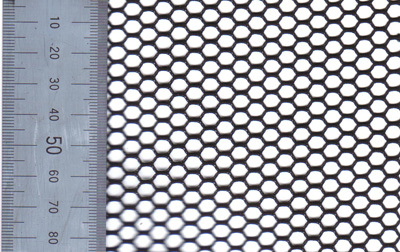 Fine Nylon meshes are the same you would see in fish tanks to separate fish. This can be used underwater and is soft to touch, it can also be sewn so can be used in many applications. Orange Barrier Fence is a polypropylene high visibility barrier fence, used to protect pedestrians and traffic when road works are being carried out. 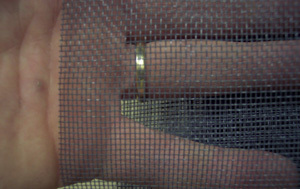 The mesh simply acts as a temporary barrier keeping them out of any dangers on site. Can also be used for crowd control fencing at sports and recreational venues. Designed with Car Parking and Bank Reinforcing in mind this 2m wide 27mm Black mesh is the simple solution. Sold by the metre or the roll.